School is either out, or almost out, today for many students; and for some, a summer break couldn’t come soon enough. But such a sense of urgency for one college student led to a break of a different kind recently. 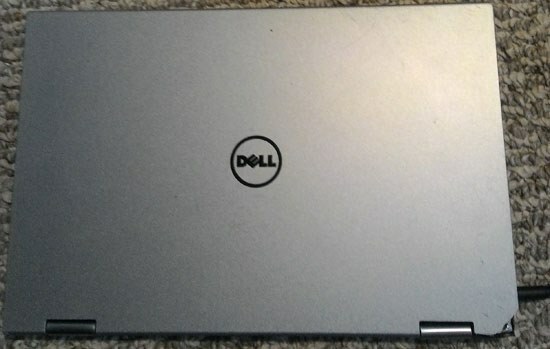 Luckily for him, even though it wasn’t part of our Dell Latitude Rugged line of laptops, it’s still engineered and tested for reliability. Aside from a knick at the corner, the outside of the chassis barely shows the torture it endured. No skid marks left behind. Now here’s where I should probably insert some “your results may vary” type of disclaimer. We do not suggest you try this yourself. 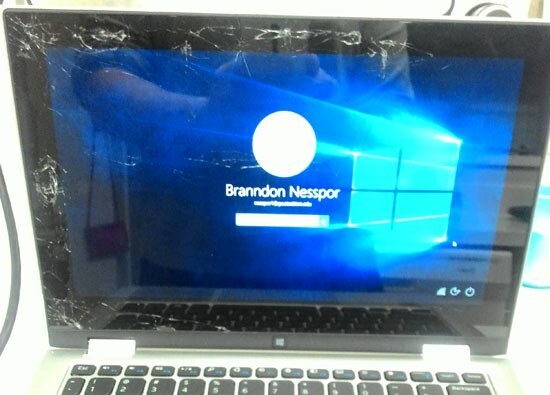 While we do test an Inspiron laptop’s base and lid more than 25,000 times to ensure the parts inside are well protected, we do not specifically design them to withstand being run over by a sport utility vehicle. Nesspor’s story is not typical and he was very lucky that the inner mechanics of the system weren’t impacted. Here’s hoping that you won’t ever need it, and that all our student customers out there enjoy a fun and safe summer break.